Opening hours: Some restaurants open in the afternoon; most remain in operation until 10 or 11pm. Opening hours may vary greatly for private businesses. There is plenty to warrant a stay in Kerala's first city, and it is here, in Trivandrum, that a visitor can have the best go at experiencing Keralan urban life. If the inner city's museums and palaces prove insufficient, tranquil beaches (most notably, one of the world's finest: Kovalam) and further sights are only a short drive away. 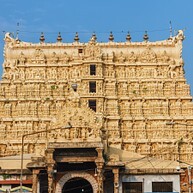 Although entry into the shrine is allowed to Hindus alone, visitors of any religious denomination can marvel at the 30-metre high golden gate (gopura) towering right next to the Fort. The sizeable structure is among the world's richest in terms of valuable metals and precious stones used in its interior decor. Its early origins remain steeped in mystery. The Thiruvananthapuram Zoo - Asia's oldest - reportedly served as inspiration for the animals of internationally-acclaimed "Life of Pi". 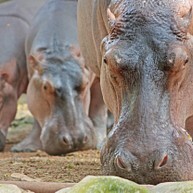 Today, the zoo's inhabitants comprise hippos, leopards, deer, reptiles, and many more. The grounds are expansive, so do wear your walking shoes. The Museum of History and Heritage showcases artefacts through centuries of Keralan history. There are also a few multimedia and interactive displays, making a tour entertaining, alongside educational. One of the highlights are model displays of traditional Keralan interiors. 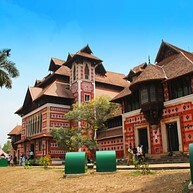 The Napier Museum collection is dedicated largely to Indian deities and Keralan rulers of yesteryear, their endeavours and conquests. There are plenty of fascinating artefacts on display, but the building itself is equally worth a look around, being a fine (albeit atypical) example of 19th-century architecture. One of India's - and, indeed, the entire world's - finest beaches traces the Keralan coast roughly 15km away from central Trivandrum. The beach is a travellers' darling, and a popular evening hangout spot for Trivandrum locals. The Lighthouse Beach at Kovalam's southern end has an elevated viewing platform and is especially scenic. 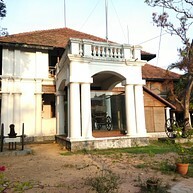 Once the residence of Travancore royals, the roughly 200-year-old Puthe Maliga Palace (also known as the Kuthira Malika) has been converted into a fascinating museum containing historic artefacts pertaining to the Travancore dynasty. A guided tour of the palace is included in the ticket price; admission to palace grounds is free.